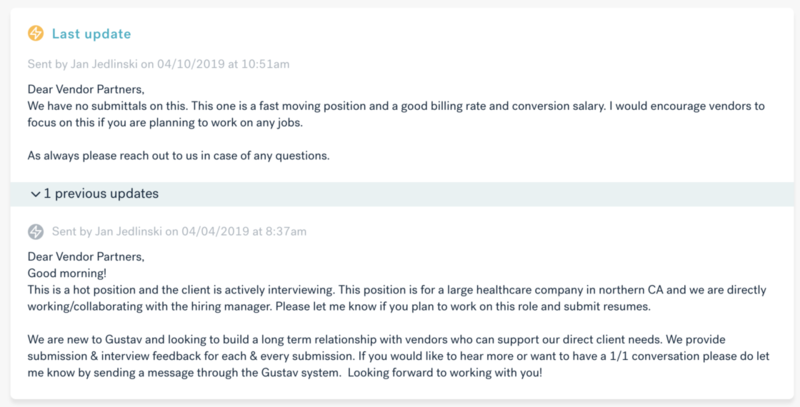 Vendors are now able to reply to job update messages. 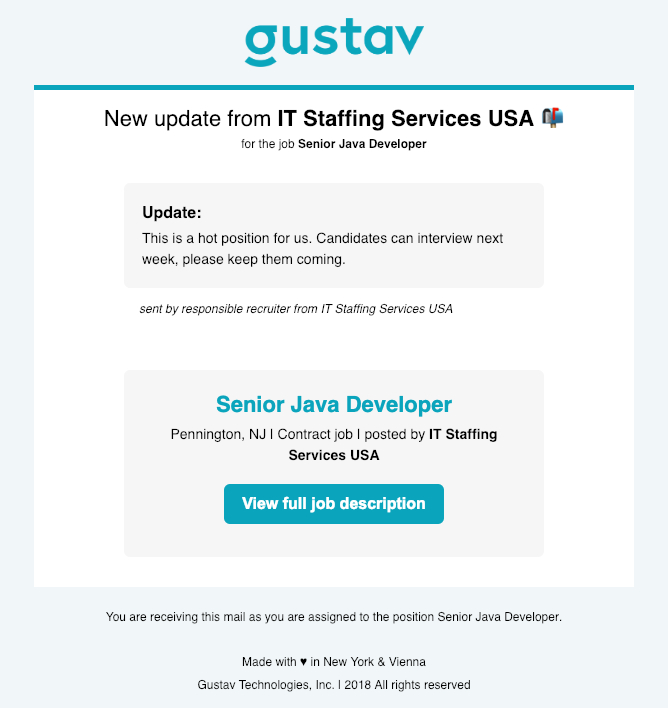 Simply hit reply on the job update message email. 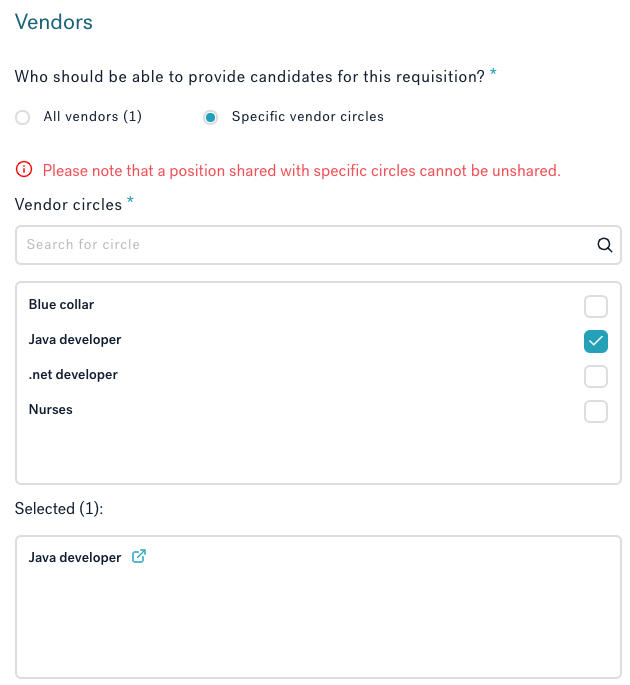 We have fully rebuilt the jobs list for vendors. You can now sort by all of the fields and most of the fields now can be filtered e.g. by Client. 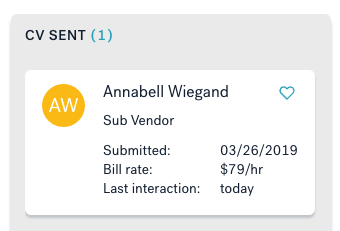 If you are a vendor to a job, you will now receive an automatic email notification if a candidate that you submitted was moved to that stage. We have added new settings that will help you post jobs faster by setting some default values for jobs. 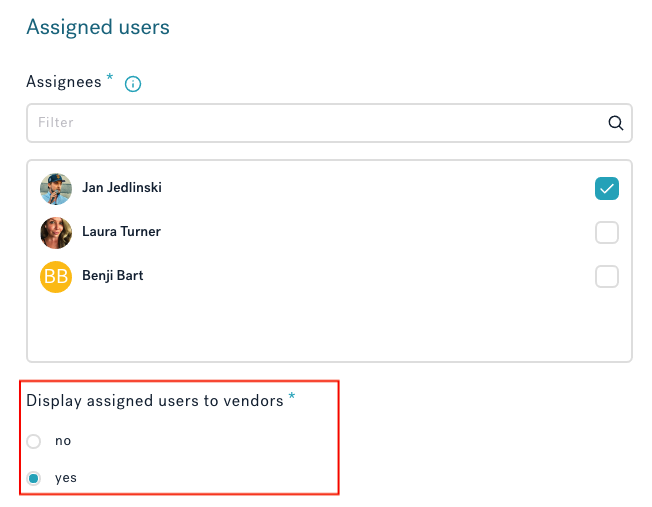 Prime vendors can do this by settings Display assigned users to vendos to yes when posting, editing or activating a job. 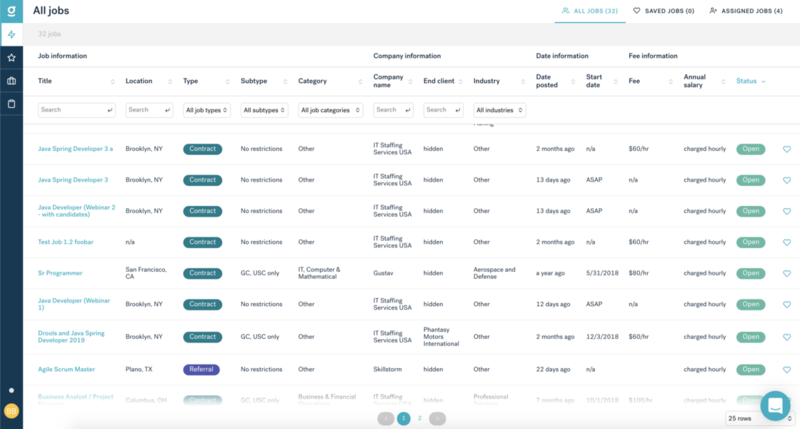 You can recognize them by the green checkmark next to the vendor name everywhere in the platform. What is a verified vendor? 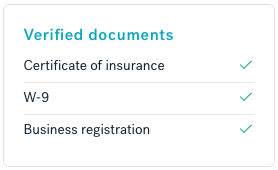 If you are a prime vendor and you are looking at the profile of one of your "Active vendors", you also have access to the actual Certificate of insurance and W9 on the vendor's profile: The business registration documents are not visible on the profile, as we treat them as confidential. In case you need them, please request them directly from the vendor. If you are on the Bullhorn S-Release version, we now have improved the support for our Gustav tab inside Bullhorn. 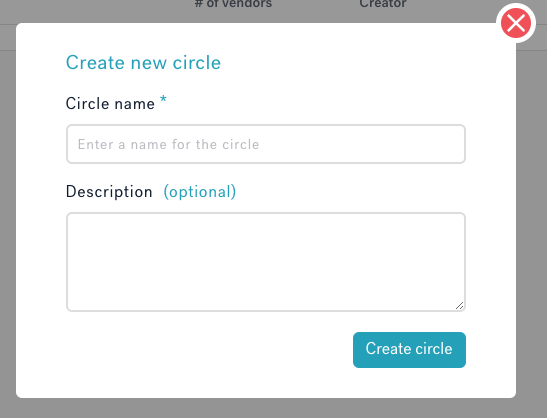 Instead of sharing jobs with all your vendors, as a prime vendor or employer, you are now able to share jobs to specific vendor circles. Surely Gustav will start publishing changelogs very soon.